On this day, Christ sat with His disciples in Passover, or the Last Supper. This is where He washed the disciples feet, instituted the sacrament, and taught his final sermon. 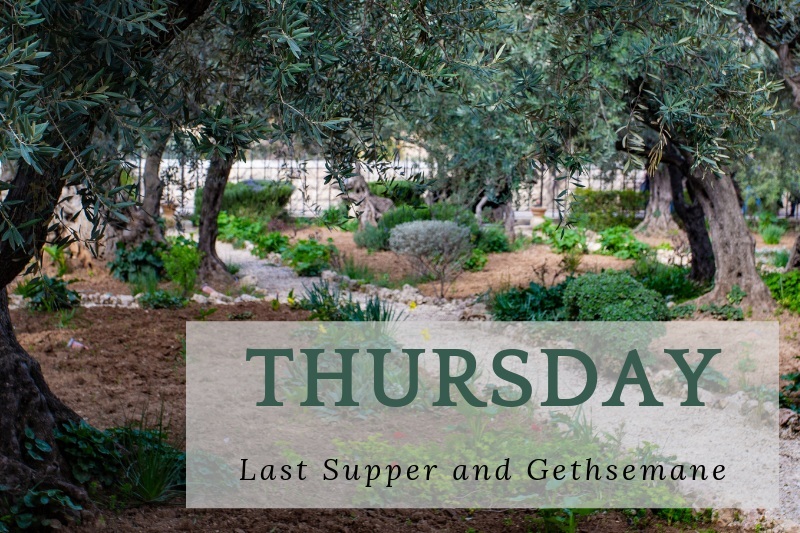 After the last Supper, He went with His disciples to Gethsemane where He gave the Intercessory Prayer, and suffered for the sins of the world. This is the most important event of all time. After He is betrayed, He is taken from the garden and spends the night in illegal trials. Have a Jerusalem Dinner. This is by far our favorite Easter activity. We get foods that they would have eaten at that time. A lot of fresh fruits and vegetables, maybe a lamb, some hummus, and some pita bread (unleaven bread). Turn on candles or lower the lights. Discuss what the atonement means to us.